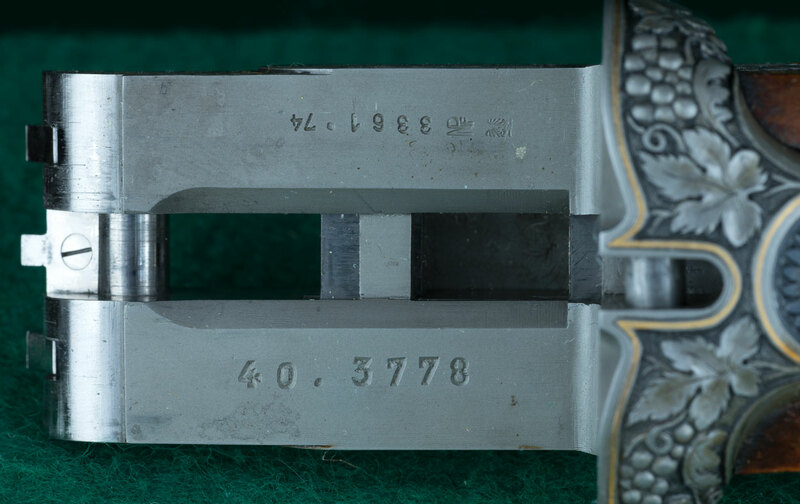 Even though a Ferlach gun may bear no maker's name, or may have only the name of a retailer, the first two digits of the serial number signify the actual maker of the gun. In the photo below, 40.3778 refers to Ludwig Borovnik's gun number 3778. The [upside down] number 3361.74 refers to the 3361st gun proofed in Ferlach during 1974. BTD, therefore, signifies April, 1989.